Enterprise SEO (search engine optimization) is seo for large companies that have demanding marketing budgets and expectations. A typical enterprise seo plan will include lots of time for meetings, reporting, and customizations above and beyond a typical seo contract. They are usually long term in nature and include a mix of content marketing, digital marketing, social media, ux, search intent research, and loads of analytics. Holistic – A holistic plan will yield solid long term results by syncing seo, social media, content, pr, and code. If you fail in one of these areas, it may be impossible to rank in the top 10. Automation – A proper seo agency should have some level of automation in their tools and analytics to cut down on time enabling them to deliver more consulting and time towards the work effort. Other methods of using computer learning can be through AB testing, predictive algorithms, and more. High Quality Content – it is not enough to bang out tons of content, it must be high quality useful content that answers the users questions and hopefully ends their search journey on your website with a conversion action. It is better to focus on messaging around core categories and improving the content that supports it on your network that a random attempt to spray the internet with so much content that you catch something. 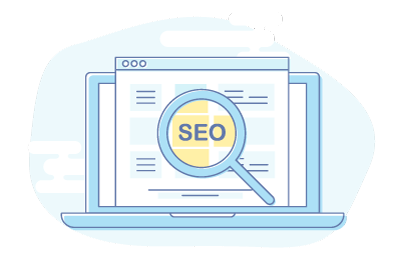 Reports – A true enterprise seo plan will have lots of reports that shows position tracking, back-link audits, UX, Speed and more. Make sure you are seeing the results with benchmarks. Accountability – An enterprise package has a higher level of accountability. Small business seo packages are a best effort type where they execute what they can within the budget and hope they can get ranked or over time, get there slowly. But enterprise packages should see results within 90 days, not that everything will be top 10, but traffic, serps, and everything should be trending upwards. Large Scale – These large more complex packages require scalability to monitor mobile, tablet, & desktop results. To manage various content marketing initiative, brand management, SERP tracking and the health of the website to name just a few. Search Results – Higher impressions is a precursor to solidifying SERPs. Make sure you are connected to the various search consoles and analytics accounts and if you are not seeing major changes in search impressions you need to rethink your strategy. Conversion Rates – Part of a large package, you should be monitoring your conversion rates from varying sources. You will normally see higher conversion from organic traffic. Benchmark before and after you make changes and as you grow over time to get a sense for how successful the seo campaign is for target keywords. High Competition – For keywords that have very difficult rankings (high seo competition), enterprise seo packages typically have the budget and bandwidth to raise your SERPs and keep you there. This is important as it takes lots of quality content, backlinks, and traffic to dominate the highly sought after keywords. National Rankings – local seo is smaller and has less competition than national rankings. Therefore, if you have a desire to rank everywhere for a term and gain hundreds of thousands of traffic, you will want to obtain an enterprise contract. This way you can have proper reporting, execution, and monitoring.